What better way to celebrate Women’s History Month than by honoring women in wine? Women make up over 50 percent of the country’s wine drinkers and purchasers, after all, and more and more are finding a place in what used to be a male-dominated industry. Let’s celebrate these women in wine and honor their contributions to the wine industry! It's National Women's History Month! What better way to celebrate than by sharing some fun facts and stories on women in the wine industry? Women are involved and making an impact in all aspects of the wine industry and are becoming winery owners, winemakers, vineyard managers, sommeliers, writers and educators. 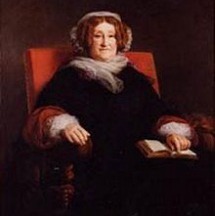 At age 27, Madame Clicquot took over Veuve Clicquot Ponsardin Champagne House after her husband died. During the reign of Napoleon and through the Napoleonic wars, Clicquot established her Champagne brand throughout Europe, including the courts of Imperial Russia. She is credited with inventing the riddling rack and process that is crucial to the Champagne making process. In 1886, Josephine Marlin Tychson became the first woman to build and operate a winery in Napa. The historic site where Josephine's winery, Tychson Cellars, once stood is now known as Freemark Abbey. Today, Freemark Abbey is proud to continue the legacy of winemaking that Josephine began so many years ago. 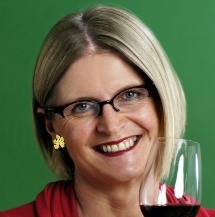 Jancis Robinson is a British wine critic, journalist and editor of wine literature. In 1984 she became a Master of Wine. As a wine writer, she has become one of the world's leading writers of educational and encyclopedic material on wine. The Oxford Companion to Wine, edited by Robinson, is widely considered to be the most comprehensive wine encyclopedia in the world. Laura Catena is the daughter of wine pioneer, Nicolas Catena of Argentina and is currently the President of Catena Zapata winery. Perhaps I should also mention that besides making wine, she is also a Harvard and Stanford degree-holding emergency room doctor and mother of three. Impressive to say the least! Cathy Corison broke down many barriers for women in the wine industry. She was hired as Freemark Abbey's winemaker in 1978. She followed this position with several groundbreaking years at Chappellet Winery on Napa Valley's famed Pritchard Hill, and currently owns Corison Winery just south of St Helena. Andrea Immer-Robinson is a graduate of the French Culinary Institute and she is also one of only a handful of Americans to pass the prestigious Master Sommelier examination. Andrea Immer-Robinson has written several best-selling wine books, including Great Wine Made Simple. Dr. Ann Noble, one of the wine industries most important researchers and professors at UC Davis, created the world-recognized UC Davis Wine Aroma Wheel.